Mt Bushwalker and on to Gadara Point (side trips down Gaol House Pass and Beehive Pass). From Bushwalker Car park walk to Mt Bushwalker and on to Gadara Point. Some of the best views in the Budawangs! Descend pass to base of cliff, visiting spectacular overhangs, return via Beehive Pass. Rock scrambling and some agility required. (Updated Details) Join in on Illawarra’s annual excursion to the Little Forest Plateau section of Morton NP. Mt Bushwalker, Gadara Point and Ngaityung Falls. The easiest way to enjoy the vista of the Budawang Ranges – a wilderness experience. Some scratchy sections. From Bushwalker car park walk to Mt Bushwalker exploring Gaolhouse Pass enroute. Magnificent views over the Budawangs, and lush rainforest in the pass. 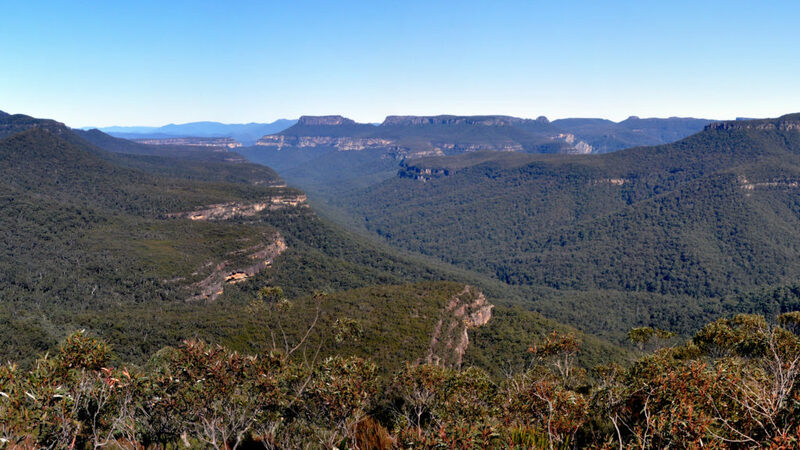 An experience to introduce walkers to the delights of the escarpments of Morton National Park. Note afternoon start! Contact leader essential. Morton NP - Little Forest Plateau - Budawangs. Illawarra Branch's annual day walk to Mt Bushwalker, Gadara Point and Ngaityung Falls. A very special place and the easiest way to see the magnificent vista of the Budawang Range. Combined activity with Illawarra Ramblers. Cliff edges.